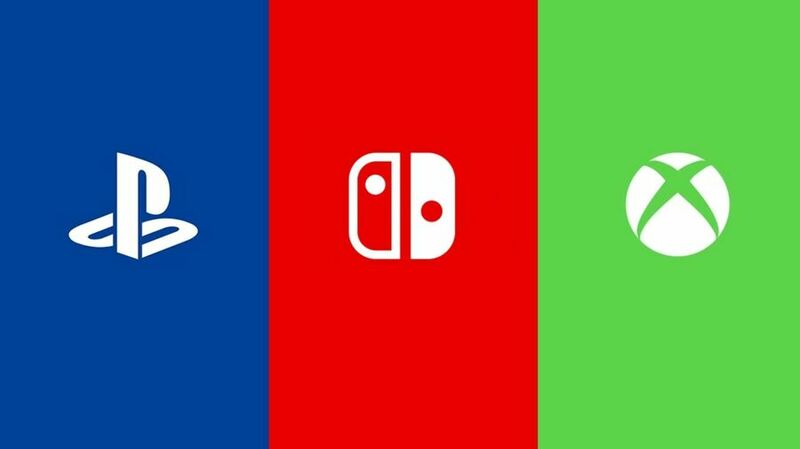 Gaming giants Nintendo, Sony and Microsoft are all currently under investigation in the UK over fears that their online subscription services are unfair. The Competition and Markets Authority (a non-ministerial department of the UK government which has the power to enforce competition and consumer law) says that it is "concerned about whether some of these companies’ business practices are legal, such as their use of auto-renewals for online gaming contracts, their cancellation and refund policies, and their terms and conditions". Should we find that the firms aren’t treating people fairly under consumer protection law, we are fully prepared to take action." The CMA says that it has written to all three companies, requesting information about such contracts to "help better understand their practices". If you have experience with any of these services, do you feel that you are treated fairly when it comes to refunds and auto-renewals? Share your thoughts with us below. I remember my younger brother once stole my dad's credit card to buy Pokemon Mystery Dungeon on 3DS. My dad found the charge like two weeks later and Nintendo customer service was REALLLLL quick to get that refunded. "and whether people can easily cancel "
It takes 2 seconds to turn off auto renew. I don’t have recent experience but 8 or so years ago I tried to cancel Xbox live and it was impossible on the phone the guy litterally wouldn’t let me. All three you should be able to click a box online to cancel. I haven’t checked but if you HAVE to ring someone that’s too much. You don’t need to ring to sign up and you shouldn’t need to if you want to turn auto on/off. I think all three need improvement on pretty much all fronts when it comes to refunds preorders and pricing. They each have a monopoly on digital content on their own devices and it shows. How easy it is to make them act differently - that’s a different story. Don’t @ me defending them. Making them think about how they operate and what they charge and how will lead to a better experience for all of us and cheaper gaming. That's why Reggie is leaving. He knew to abandon ship before everyone goes to prison for the criminally slow integration of voice chat. @StarmanSSP I think probably the arguement is that on The first auto renewal before many people realise - casual gamers - they have been charged again before they turn it off. I KNEW getting rid of Virtual Console was a crime! I knew people didn't like paying for online, but this is a step above that! People just need to open their mouths/actually talk to these companies when there's an actual issue with a purchase, like @Indielink described. It takes all of 5 minutes from ringing up customer service until a purchase a child made without permission is canceled. Everything else is on the consumer. Someone also already pointed out that canceling the subs is a non-issue as long as you've got more than 2 functional brain cells. I don't really know with Nintendo, but I know from experience Sony and Microsoft both have a bad habit of turning back on automatic renewal when you manually renew and not making it terribly obvious they've done so. Microsoft's bitten me with that before and I've had close calls with Sony. @StevetheIcecube you could do that since day 1 of NSO, so yeah. That part of it is nonsense. That looks like a tax worthy investigation. Sorry friends from across the pond. My biggest gripe with online gaming subscription services is that they do not properly communicate that you will be signing up for automatic renewals at any point during the purchase process. This should be an opt-in process, not an opt-out. It happened one time with Xbox Live. I had a seldom-used Xbox 360, I signed up for a month just to try out the Sonic Generations demo (an online subscription was required for demos). That 360 saw no use after that, but I later discovered that Microsoft had been charging me monthly for subscription renewals I was not using with zero activity. That was not acceptable. They're no more illegal than say Netflix or Hulu. Playstation automatically has their paid services as auto-renew. My cousin got burned on PS Now by not knowing that. I have Nintendo Online only because I got it from Twitch Prime free. I used to pay for Nintendo Online but got sick of NES games, and I didn't play online enough to justify paying. As of now I pay for Playstation Plus. With PS Plus last month I got a free PS4 Call of Duty game. Playing games online with Playstation I have no issues. Whereas I had issues with Nintendo playing online. Splat 2 and Monster Hunter Generation dropped every so often. In conclusion I think Nintendo needs to work on their servers and service way more than Playstation does. I mean, cancelling auto renew is as easy as unchecking the box on the eShop in your account. It's no different than HBO Now free trial making you auto renew, which can be subsequently cancelled. We all know Nintendo asks money in exchange of nothing regarding online gaming. They don't have dedicated servers, they don't have extra services (unless you count cloud saves which don't even work with every game and they're also completely free on Xbox). If that's not unfair business practice, I don't know what is. @biglittlejake My crappy Australian Internet connection can handle all online Switch games without any drops. Only a handful of disconnections in Splatoon 2 in almost 1000 hours. The UK government always seems a lot more trigger happy (not really the right word, but I'm having trouble coming up with what I'm looking for) than the US when it comes to consumer-related concerns over business practices. In theory, that seems like it would be a good thing, but to me they come across as overzealous and I usually just roll my eyes. In deactivating my Nintendo Online, I needed to log into a browser to get it done. Simply not possible using my Switch console. Its obvious the process can be easier and isnt for a reason. There needs to be a simpler way for consumers to do this through the very consoles you use each service on. Let’s hope this slight pressure makes that happen. @JaxonH I couldn’t find any magic box. Nintendo should be investigated for the Joycon's faulty design. Damn drifting got me killed so many times. It seems to me like that time could go towards more worthy pursuits, but to each their own I guess. Brexit is too hard. Let's go mess with video game companies. As was said above, XBox Live is switched to auto renewal when you subscribe. To revert this you have to do it manually - of course -, and there's no opt-in or opt-out when subscribing for the service. The worst thing, though, is that while you can subscribe via the MS store on the console itself you can't unsubscribe within your account management on the XBox (or I just overlook it everytime) but instead you have to visit the MS website and switch it off there in the account settings. So it's no simple one or two button action. I don't even understand how 'Automatic renewal' is allowed to be the default option by law. Not just on consoles but pretty much everywhere from Netflix to NFL Game Pass. If a consumer decides to opt for renewal, he/she could do it by pressing a button somewhere in the app - but until then, it's not up to the corporations to charge people who may or may not be aware of said practice. EU cookies law just made browsing more inconvenient (because literally nothing has changed but now unwanted messages pop up in our face every time) - but this decision should be made for the customers. They should look into why Nintendo responded to Switch Online members complaints about receiving only 3 NES games per month by giving us 2 NES games per month. Yes its back to 3 this month but for how long? Anything that makes things better, fairer, easier for the consumer and I'm in. Something like cancelling a subscription should be a couple of clicks away at most and extremely easy to find and do imo, and you should also be able to basically cancel immediately at any time too. @Jawessome it's literally on the very screen that opens when you head to your eShop profile's section for NSO. @nintey_cola Actually nintendo online does have a baked in auto renew at least if you've done the trial they force you to cancel it before end or it will starting charging your card. Good. There needs to be enforced boundaries on these things. @Stocksy I had the same issue with Xbox. My bank couldn't even stop it as they said it was an agreement I had with Microsoft. Took me about a year to cancel. It was partly my fault as I had changed accounts and couldn't remember my log in email but still. I lost a fair bit of money as it just kept rolling over every month. @mjharper that’s exactly what I was thinking. You made my morning. @JaxonH "HBO Now free trial"
I actually clicked on the link in the article thinking this was about all online subscriptions - gaming, streaming, music, reading, etc - and that this article just focused on gaming, but no, just gaming, which I think is odd. I signed up for am 80 cent month of DC Universe last night - wanna watch Titans and a few cartoon movies - and at the end a screen flashed really fast about who and how to contact to cancel, and I got worried I'd be trapped, but there is a CANCEL link on the account page so no problem. For everybody too young and not in the US in the 90's, trying to cancel AOL was 1 of the worst experiences anyone could have. Phone only, they never answered, and they never let you cancel. Like ever. And it wasn't just him. Went through a lot of that myself in the 90's. AOL. Compuserve. Prodigy. Nothing canceled easily on the internet like it does today. So I'm fine w/ the gov't looking into things to make sure we don't go back to that. Especially now that paid online is required for gaming on consoles. But not for PCs. That's what they probably really need to be looking into, why consoles need paid online but PCs and mobile devices don't. But that's just wishful thinking I guess. "The emphasis here appears to be being placed upon the auto-renewal of the companies' online services"
And this is dumb. You can easily turn off the auto renewal with a click, and they told you so. What we should fight hard is the absurd thing Nintendo (for example) obliges you to do before a purchase. They say you have the right of contract termination, but you can't make a purchase without renouncing to that very right. THIS is unfair. You could buy an almost unplayable game and there's no way to ask for a refund, because when you bought it you renounced to that right. I don't think the auto renewels are an issue because you can disable those. However I do believe that they need to be better with refunds for digital games. Probably have to just switch to an opt-in rather than an opt-out model for auto-renewal. My experience is satellite radio is the worst. You can't use the website to cancel (only to order, change, add). You have to call to stop service. This is ridiculous imo. It's super easy to tuen off auto renewal on every subscription that I have. If someone doesn't have the wherewithal to put a reminder in their phone to cancel or doesn't actuality read the terms that clearly state auto renewal is on automatically that's on them to me. Canceling digital pre-orders aren't offered by Nintendo atm so I think that might be disputed, also digital returns similar to Steam should be offered even if they only credit you with eshop currency. I rarely buy digital games from Nintendo for that reason. The only problem I see is the refund policies. Everyone, especially Nintendo, need to get that thing sorted out. As for the auto-renewals, the customer has a choice to not auto renew, and I had never an issue with that on either of them. The real problem is that you’re paying for nothing. That’s the scam. @StarmanSSP I think the issue (at least back in the day) is that it wasn't easy to see that auto-renewal would be automatically turned on. If you've disabled it before and then renew your contract, it would also re-enable auto-renewal. There was also the issue back in the day at least on Xbox, where you could not disable auto-renewal on the console itself and had to go to Microsoft's website, where the Xbox Live Gold membership was a chore to find. I don't know what it's like now since I no longer pay for online membership on any of the 3 platforms so the situation may have improved since then. Admittedly, PS4's is relatively straight forward and can be done on the console itself but I think they need to make it clearer that auto-renewal is turned on the moment you sign up to the service. This seems like a waste of recourses. I've always thought you should be able to refund digital content, especially in the days of dodgy framerates, broken gameplay sections and release day embargos. If a game doesn't work as intended, and I've played less than 2 hours, I should be allowed to refund that to at least store credit. Honestly I don't know if they'll find much, these online services are not consumer friendly, but not to the point to be considered legally unfair. For example I find annoying how the online subscription forces you to activate the auto-renawal. Sure, you can deactivate it a minute later in the options, but why not asking if you want it instead then force you to activate it? I may be wrong, but it really gives the impression that they are really hoping you forget and pay it again by mistake at least once. Not a super illegal dark practice, but this and similar tricks over milions of players surely brings them more then a few dollars in. It takes a few seconds to turn off on the switch. Is it just me, or does the UK always put the wierdest things into question, and could end up ruining it? These online memberships aren't really the most consumer friendly thing on the planet, but I wouldn't say they are doing anything super illegal. I was easily able to cancel auto-renewal on PSN. Last time I was a PS Plus member, they notified me a couple times via email to say that my membership was going to expire soon and that I could renew it or set it to auto-renewal or whatever. Haven't used any online services outside of that. But that said, I am a believer in being able to get a refund on digital content. It's a real grey area and it differs from company to company. I'd say there needs to be a standard set that says you are eligible for a refund up to X number of days/hours after purchasing or something like that. It's becoming almost too common for kids to purchase a bunch of games/add-ons without their parents knowing until they get the credit card bill. A lot of companies do this with subscriptions though...that's why they're subscriptions. You're automatically enrolled and have to cancel, just like a magazine. Back then, MS and Sony would bury it in the menus. Now, all three tell you up front (Sony hides it just a bit) with an easy way to turn off. @dougphisig Yea I looked into it and deleted my comment. It is very easy to stop though. I immediately turn renewal off every time I resubscribe. @construx can't disagree with anything you've said there, which is why I'm so grateful to Amazon/Nintendo/whoever that by virtue of being a Prime punter I was able to get 12 months NSO on the Freddy Freemans through the linked Twitch Prime. What timely article; my PS Plus membership renews itself in a few days. I know this because I remembered signing up last April and checked it last week to make sure. Guess what? You can turn off the auto-renewal feature if you don't want them charging you automatically! It's up to the consumer to keep track of their subscriptions and turn off the auto-renewal feature on their own. It doesn't seem like there's anything illegal going on here. @Tsurii It’s so much harder with Sony than it is Nintendo. With Sony I tried for months to get my £50 back that was scammed even though PayPal said straight away that it was a fraudulent transaction. Since Sony lock your account if you use PayPal to chargeback, I ended up just sucking it up otherwise I wouldn’t be able to play 99% of my PS4 games. I’d be glad if these companies were thoroughly investigated, they rely too heavily on strongarming consumers into doing things their way. @nessisonett all these kind of practices should be investigated especially when sony bans accounts for trying to recover money from hackers. i'm not surprised that people are defending this sort of thing tbh. all we have is consumer law to protect us but they don't do enough atm to protect us from shady practices from all 3 companies, especially when it comes to digital policies. Yep, pretty sure all of these online renewals can be turned off. As for the refund thing, I wouldn’t mind seeing some changes, but I’m not sure this kind of investigation is necessary (from my own experience). I’ll grant that the scam issues I’m seeing in the comments merit a closer look, though. I once accidentally bought 2 years of Xbox Live Gold, and they easily refunded one year for me. No questions asked. If the Competition and Markets agency is concerned with auto renewals and refunds, I don't see how the big 3 is any different from Spotify, Hulu, or Netflix auto renewals that bill you automatically. Why isn't it a problem for those guys? Auto renewal is cancer it's cause this mentality companies have of auto opting in people to stuff. Remember opt in > opt out. Don't just force people onto not so lovely practices and bad schemes. This is exactly the same as the Prince Harry story. Tyrants got to tyrannize. Refunds for digital purchase needs to happen cause not every media out there will review all of the games and there are some games I bought digitally that turns out to be nothing but utter craps (like Sinner and Blood Wave) while some were awesome gems (such as Knock Knock and the Liar Princess and the Blind Prince) even though some people in the media says those aren't. Xbox is perhaps the most fair in that if you cancel the subscription, that your refund is prorated. Nintendo does not please the crown. I don't disagree with the premise here, but.....why just gaming and not music, movie, TV, software/security, etc subscriptions as well? They all follow the same model. @Stocksy I dont' remember how it was 8 years ago, but for XBox, subscriptions are part of your Microsoft Account. You can't cancel on the console's own interface, but if you log into the Microsoft website in a web browser (including Edge built into the X1) you can access all your subscriptions and such under your profile and disable them (Live Gold, Game Pass, MMO subscriptions, music subs, Security Essentials, Office 365, etc.) Sony has a similar account page, but I think there's also a button on the PSN page on the console. I know Nintendo has it on the website, as well, but I think you can also do it on the console. I mean, Nintendo's lackluster online service is practically a crime. OI MATE! YA GOT A LOICENSE FER THAT ONLINE SERVICE? Glad I don't use credit card for subscribes Nintendo online services. No worry for auto renewal. @AstralOrange give it time, soon enough netflix & hulu will also be on the chopping block over there. @RupeeClock says "My biggest gripe with online gaming subscription services is that they do not properly communicate that you will be signing up for automatic renewals at any point during the purchase process." ANSWER: That is not true at all (at least for Nintendo). Nintendo online subscription process informs you very well several times during and after the purchase about automatic renewals. Tbh, it should be opt in for renewel not opt out. Auto renewal by default shouldn’t be the norm, but that’s what virtual credit card numbers are for. Good. I've disagreed with them for a long time. Change needs to happen. Adding more to stereotype that politicians are out of touch with the video game industry. Do they not know that gamers asked for this? They should be tackling the unfair practice of charging you for access to the internet with a device and software you already purchased. The original intent way back when Microsoft pulled this with generation 1 of Xbox live, was to have giant server farms setup globally. This was part of the marketing back then and how they justified the cost. We all know how that turned out. It was a lie. You are essentially paying the big 3 to access a basic network protocol that's been freely available to computers since the dawn of the internet. Connecting to a peer to peer solution doesn't have any cost overhead. Zero. Zilch. Notta. It's a scam. Oh but what about games that actually do make use of dedicated servers? Irrelevant. The big 3 aren't footing the bill for EA or Activision or fortnite servers. It's a scam. All 3 companies are guilty of falsely locking access to the internet behind their walled off ecosystems. Charging money for it and then have the audacity to post earning reports in the double digit billions combined annually. For air. They're selling us air and making billions off of consumer ignorance. I got caught out by Sony once. I used a pre-paid card for PS+ and didnt have any other payment options available at that time. During that year I used my PayPal account to buy something and on renewal, they used my PayPal to renew it. I contacted that day and got credit to my account, they wouldn't give the money back. I think that has changed a few days ago. I don't think it was clear, I didn't know auto renewal was turned on. I did the Twitch Prime offer for Nintendo and I because of what Sony did, I read more into it. Only use prepaid cards. Problem solved. @StarmanSSP naw, 2 seconds is apparently a huge hurdle for them. What is this crock of s**t? It's not that hard to turn off automatic renewal and you have other options with prepaid cards. If you dont turn off automatic renewal that's your own fault. None of it's compulsory, and it is easy to opt out any time. They're barking up the wrong tree. I love people who comment on public forums, end with "Don't @ Me" because they're looking for a soapbox not a conversation, and then two posts later have @ed somebody else. With online service prices going up I see no problem with this. Gaming is getting expensive and it was expensive already, the jump in point is hard if your family doesn't already have money. Getting 2-3 kids games and systems for a holiday isn't easy. With digital becoming so popular why hasn't the cost of a single game gone down? Most 3rd party games on sony/Microsoft drop in price a month or two after and after four months are half price. 60$ for a new game physical or digital is to much. This is clearly a farce. Just as the UK government is under attack by the public for this circus they call Brexit, they suddenly go after the video games industry? It's distraction politics at it's finest, go after something the public loves, to try and make them forget about the real issues going on. Yes, those damn companies better provide my entertainment and I'll dictate the terms, thank you very much! We are living in the hardest times I tell you! No one has access to entertainment anymore. In the old days there was almost too much entertainment, where children weren't spending time outdoors, and parents were busy gaming or watching TV. Now, it's the opposite, where every minute is spent contemplating the simpleminded things. It's driving us crazy! @Zorox88 You realize the price of video games has rarely actually increased outside of natural inflation, right? What people paid for Super Mario Odyseey at launch, is equal to what they'd have paid for the original Super Mario Bros at it's launch. Fact is the cost to develope games has increased ten fold, but the price in sales hasn't, instead they are force to rely on an increase in consumers, which doesn't always happen and has lead to many a studio shutting down. In addition to that video games has the largest second hand market of any media, and only has one point of sale, where as music and movies have multiple (concerts, physical/digital/streaming and radio for music and Cinema, physical/digital/streaming and TV for movies). Besides, if you can't afford to buy at full price day one, wait for those sales you speak of. No one is every forced to buy a title day one, that is a choice the player makes for themselves. At the end of the day, it's the user's responsibility to cancel (turn-off) the auto-renew subscription. We should already know up until when we could actually keep up with the service. Refund/cancellation aside for pre-orders, I think there's nothing "unfair" with all three's online subscription model. TBH in all fairness, they should police ALL software companies which offer subscription based services if we are to go along with their logic. You can turn off auto renewal on all of them, and its pretty simple..
On PS4 you can´t refund something that already has been downloaded, I hope they do something about this. I need my face auto-renewed. @StarmanSSP I actually found it very difficult to find the spot to disable auto renew during my trial and even then I wasn't sure if it was truly disabled or not. How hard is it for people to turn off auto renew? Hey, if this can get us free online without a subscription, I'm all for it. If I remember correctly, PS+ started as a perk, not necessary to play online, but something to get if you wanted deals on the PS Store. Make that the status quo on all console subscriptions. I've gotta say, I've been really happy with some of my past experiences with them. I remember when Bayonetta 1 + 2 were released on the Wii U, and I put the money on the eshop, and then I see a demo for the then new Sonic Boom, and instead of hitting the Download Demo button, I hit the Purchase button, which they're right next to each other. So, I immediately called Nintendo, and after a bit of chatter (I told them I meant to buy Bayonetta 1 & 2 instead), they fixed it, and I got my eshop funds back. Blimey! This is a bit of a sticky wicket, in it? I don't have an Xbox and I don't have the online membership for the switch (yet) but I have been paying for PS plus for a few years now, and they always send you a warning when the membership is about to expire one month earlier, and you can turn the auto-renewal. I really don't see the problem here. Automatic renewals simply exist to trick people into buying stuff because they forgot to cancel it. It should be banned indeed. Literally nothing keeps the companies to simply end the trial and let you think for yourself whether you want the service or not. The sooner this scam ends the better. However, I do not see why only gaming services are being targeted here while pretty much all the companies use it. Has anyone ever received a fair and square e-mail saying "Hello! Your free trial is about to end in two days, maybe it is time think about whether you want to cancel it before we automatically charge you!"? When I subscribed to Switch Online, I made sure auto-renewal was turned off. Sorry, I want to save my eShop wallet for games, I can buy a subscription card if I need to renew. I plan to turn it off when I renew later this year. Personally, in addition to Nintendo games, I'm also a PC gamer. With that in mind, I really do not like paying to play online multiplayer. I now forgive the UK for Brexit. NSO is a scam and I'm glad the UK Government's doing something about it. I hope it spreads to other countries such as Japan, Australia and the US. BTW, I just found out that New Zealand has to pay $33NZD a year for peer-2-peer connections. I feel bad for them. I really do. Now, can we have the Australian Government join the UK in fighting this battle? Nintendo's refund policy could do with being a bit better. But the auto-renewal thing? Isn't this just a common thing nowadays? The only thing I'll say is it should be opt-in, but it's really easy to cancel anyway. Also, I think people are yet again reading too much into this. I doubt countries have a problem with console platforms charging for their online services. So don't go jumping up and down for free online. I don't bother with online on my other console, so I don't know about those. IDK why, but I've had no online problems with NSO what-so-ever and I've been on it since the start, am I the only one that has no problems with NSO? I would like a breakdown of why it costs so much to play online on PS4 and XB1 when the majority of games seem to be peer to peer. I think if they’re going to hit game companies for this issue then they should be hitting other companies too cough Amazon Prime. The big difference is that Amazon Prime jacked up their subscription price dramatically whereas Sony and Microsoft have not. It’s too early to see if Nintendo will be increasing their subscription price and will likely depend on the strides they make to the services they are providing. @ILA01 I can’t say I have any problems with NSO either really. I don’t care about NES games but I do like cloud saves, playing Splatoon online, and Tetris 99. At $20/ year? It’s not so bad IMO.. It used to be a pain to cancel recurring billing on Xbox Live because you couldn't do it from the console and had to use a PC. Now I believe that you can also access it from the Xbox. I'm not sure about PSN as I haven't used it for a couple of years now and there was no way that I'd put my details on their network after all their security issues. Nintendo network is easy to cancel the auto renew as it's simply a checkbox. Of course it’s unfair. Paying to pay for multiplayer is just another reason why “PC master race” exists. Nintendo’s may be cheaper but it’s still bs. What about regulation on return policy of digital sales? That's the biggest problem IMHO. From the 3, Microsoft does it a bit better so far. I have been robbed nearly on every Sony PS account. You must have card for a free month subscription, but it took your many very quickly. Delete your card and exchange it for a fake as soon as you get your "free game". Auto renew should be off by default, while it is easy to go into the settings and turn it off, some people aren't as switched on and could be stung a year down the line. Also, it's sneaky for auto renewal to be turned back on when something is purchased or redeemed, much like the twitch promotion for switch online. Ya I absolutely agree that auto-renew shouldn't be activated by default. Many people/companies doing the same thing doesn't make it right. Nazism was popular once, does it make it right? On the one hand we have auto renewing subscriptions and on the other we have nazism. But which is better? There's only one way to find out... FIGHT!!! Admittedly, auto renewal did bite me in the onion several times on my PS4 before I started remembering to uncheck the auto renewal option, but that was entirely my own fault. A ban over user stupidity seems a bit much. I do think auto-renewal needs to be disabled by default, though. Seems like a lot of people saying auto renewal isn't an issue. Well, I'm only on PS4, but you have to go out of your way to opt out of auto renewal. I feel like it would be much less deceptive and much more consumer friendly if you had to specifically opt in instead of opt out. It's just another reason I do not store my credit card number on my PSN account. Edit: Last time I bought a new car, I received a free month of On Star subscription. I was told that if I signed up with an account and put in my credit card number, I could get an additional 2 free months. Being savvy to this type of stuff though, I asked and confirmed my suspicion that auto renewal for the service would be set up and I'd have to cancel later. Was an easy pass for me. Auto renewals exist solely to scam people out of money by preying on their limited memory. @The_BAAD_Man Beware. Mine turned back on last year and Sony got me for an entire $60 when I could have picked up a year for $45 elsewhere. I wonder if a system update did that. When I had Xbox 360, I never used auto-renewal because I purchased 1 yr passes online for $45 or less every year. And with Nintendo's service, it is so dirt cheap I don't even think about it much. I don't think it's unfair for me on Nintendo Switch. It's $5 a month and it comes with NES games to play included in the plan. For me it's fine. But I can understand for some might find that it's unfair. I can guarantee that everything is set out within the T&C's before you even sign up.. but honestly how many have even sat there to read every single detail my guess is 0.. you skip to accept and then complain because something auto renewed and "you didn't know it would" that's cos we don't care to read what is actually being offered and what your actually signing up to. @JHDK Haha. This gave me a genuine chuckle. I hope Nintendo gets stung by this with there terrible online services! I think auto renewal should have to be turned on not the default being go find it in the settings and knocking it off. @Itzdmo its a fair point to make as free games on the platform such as Warframe can be played online without a subscription. At the same time though, if Nintendo wants you to pay for playing Nintendo games online, its their option. Illegal? No. Immoral? Yes. Its the same with DLC. Remember back when Epic Games released free downloadable content for Unreal Tournament 2004? New maps, modes, weapons, vehicles and game types. All absolutely free. Now companies are looking at ways to squeeze more money out of people. This is why transitioning to digital makes such good business sense to them. Zero manufacturing costs. Now this subscription model where you no longer own anything, you just pay for the right to play their games!? This astounds me. One thing’s certain - as time goes on, the consumer is getting less and less. An alarming trend.